Our Superlite Joggers combine lightweight, stretch yarns with fitted panels for an ergonomic fit with style. The streamlined design features colour blocking, an elasticated waistband for ultimate comfort, while tailored seams deliver our most personalised fit ever – ready for any workout. Superlite is our extra lightweight sweats collection, designed to keep you cool and fitted, with a unique knit construction to maintain optimum temperatures when needed for the ultimate in all-weather training. This product may be being shipped to you from the UK. Please allow up to 15 business days for it to arrive. Really stretchy, light material. It dries quite fast as I was using it for Deliveroo on a bike and regular gym so it has been heavily used. Fits well. These are great for Yoga and Body Pump. Will be ordering more. Top quality product at a great price, even cheaper when discounts applied. Fit is very good also, will definitely be buying again. The quality of these aren't as good as the Performance Short Sleeve Top. Those were made in turkey whereas this is made in china, which pretty mcuh explains it. The color isn't as vibrant as per the picture but it's still acceptable. Overall, the fitting is and stretch is alright. I'd just wish they were higher in quality. I have bought many times a top quality trauser for active time when my sensitive skin easy get warm so my type of trauser should be light and more cold as warm after 3 hours activity! Secound point my bodyshape need to show up as good shape in the trauser without feel unconfident! The mix colour just extra variety and middle greys verson has bigger flexy size how blue and black are shape! Be breave to buy any of them and you will buy other pair of same again because it is combination of natural wearing items! I hope you agree! Just received the package and tried these joggers instantly. They feel very nice on the skin, material is great and the size is exactly as expected! Very nice ones for sure! A put them on and haven’t taken them off yet. Very soft and comfy - I love them. 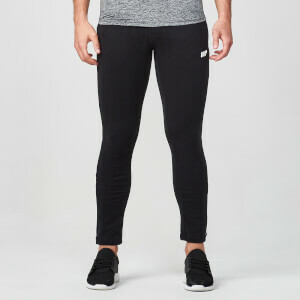 Been looking for a pair of non-plain grey sweats. Love the tight fit. The zipper is a bit annoying for me, but I love the strings. These seem to be good, I'd recommend going up a size though because they are TIGHT fitting. I can only wear mine as under shorts tights cause they are too tight in certain areas to wear on their own. ALSO the stitching is high quality, not cheapo. So If i had gone up a size they'd be perfect, just getting my usual size wasn't great.